Posted by marijnkuiper in Lunch, dinner. Because I am leaving Milan in two days I had to finish all the food I have left in the fridge. 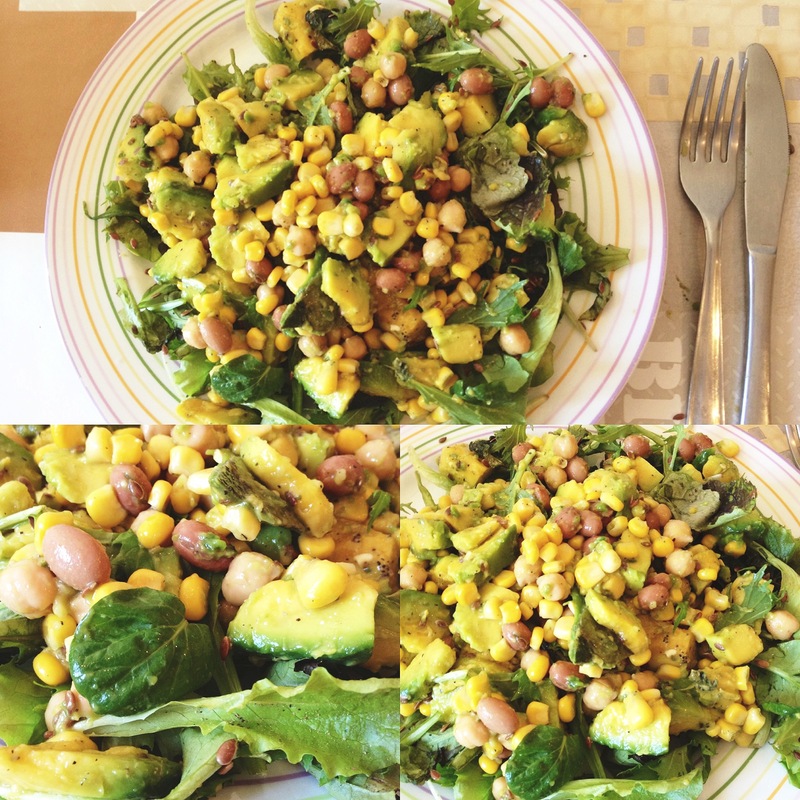 My lunch today was the result. 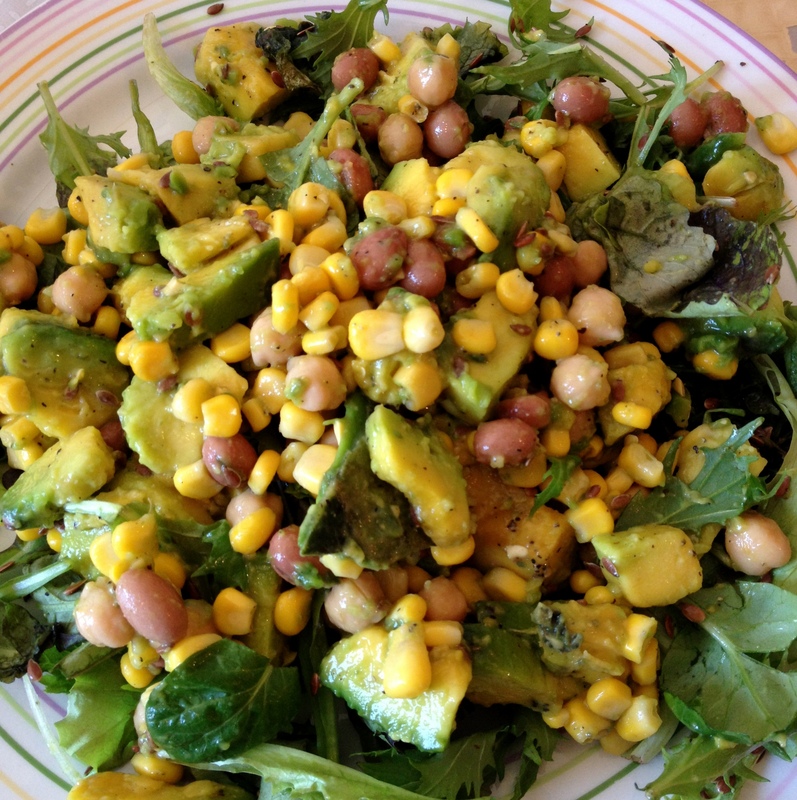 I made avocado corn salad, extremely easy but some people asked for the recipe so here it is. I didn’t really measured it when I made it so this are mostly guesses afterwards but I think I am pretty close. 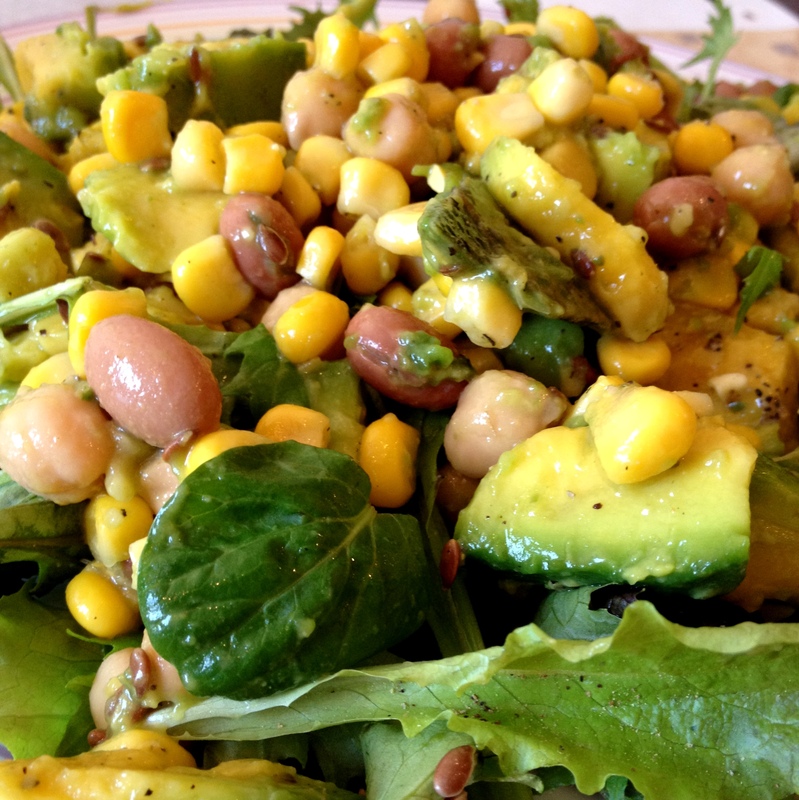 Just mix everything, put it on a plate and enjoy!